3 Bedroom Detached House For Sale in Sheffield for Guide Price £300,000. 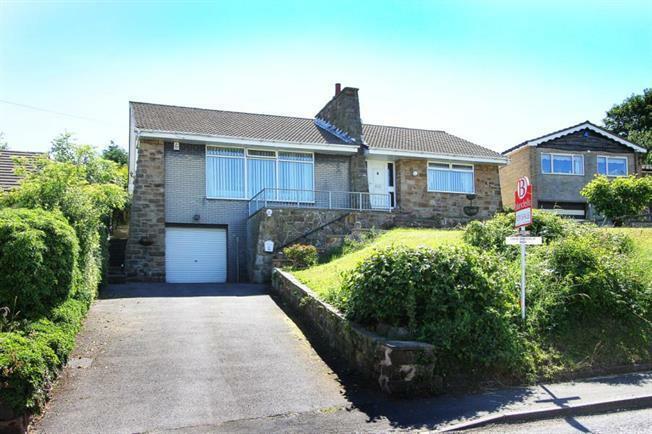 Offered for sale is this superb three bedroom detached property, occupying a larger than average plot with far reaching views and the potential to purchase further plots to the rear. Offering superb potential to renovate and extend (subject to planning consents) The property occupies a sought after position in Harthill Village. In brief the accommodation comprises; Generous open plan living Room, separate Dining area and fitted Kitchen, uPVC Conservatory, Three generous Bedrooms and the family Bathroom. To the front is a driveway leading to the integral garage, further lawned raised front garden. Access to the rear where there is a larger than average garden laid predominantly to lawn with patio area. An option to purchase two further plots are available subject to consents and approaching the parish council. Britain in bloom award winning Harthill lies between Killamarsh and Thorpe Salvin and is ideally placed for local Schools and Amenities. Traditionally an agricultural village Harthill offers a semi rural lifestyle whilst being a stone's throw from the hustle and bustle at nearby shopping centres and retail parks including Meadowhall, and provides excellent links to the M1 motorway networks sitting between both junction 30 and 31. The Parish Church of All Hallowes dates from 1085 the tower is 14th century. Steeped in local history the parish also contains Harthill Reservoir which feeds to the Chesterfield Canal and adjacent (Cuckoo Way) footpath network. Harthill has two traditional public houses the Beehive and the Blue Bell, and boasts superb local shops and nearby schools, Rother Valley Country Park and many nearby leisure facilities along with spectacular nearby walks in the local countryside provide great local pursuits.